The random HTML Generator randomly pick a HTML string and inserts it on a webpage that is hosted on a server with the SSI (Server Side Includes) enabled. 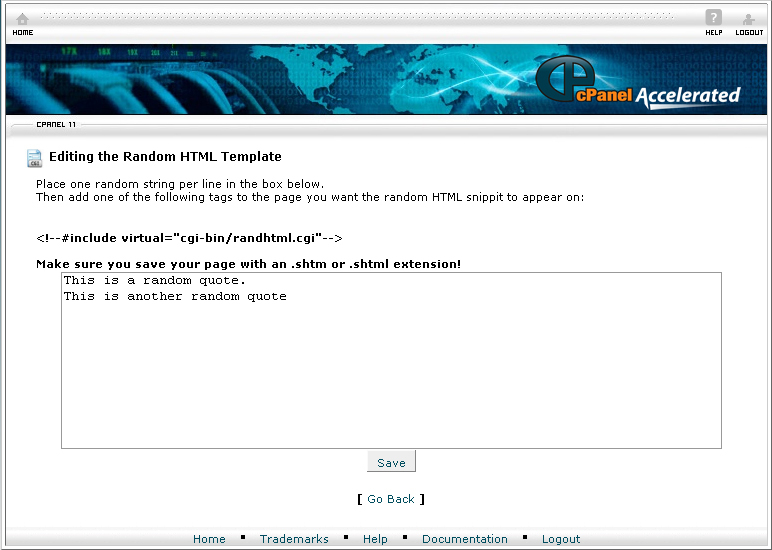 The random HTML Generator is useful for webmasters that want to display a random quote, fact or any text each time a visitor reload the web page. If you want to use the random HTML Generator, the webpage which will have the random text must be saved in .shtm or .shtml. Click on the Random HTML Generator. Enter the text that you would like to display on your website. You should separate each comment by a line. 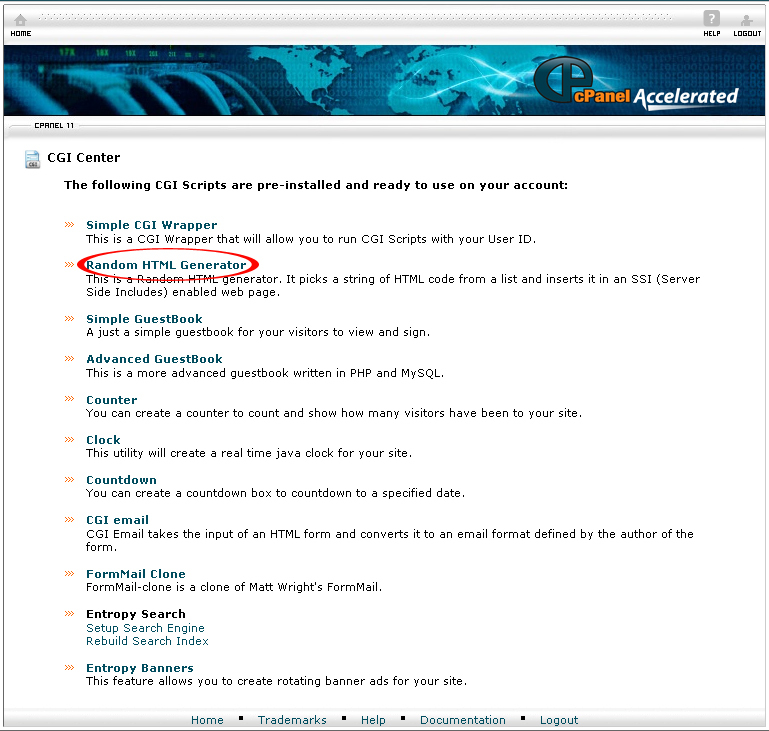 Include the code <!–#include virtual=”cgi-bin/randhtml.cgi”–> in where you want the random text to display on your website with a code editor such as notepad or textpad. 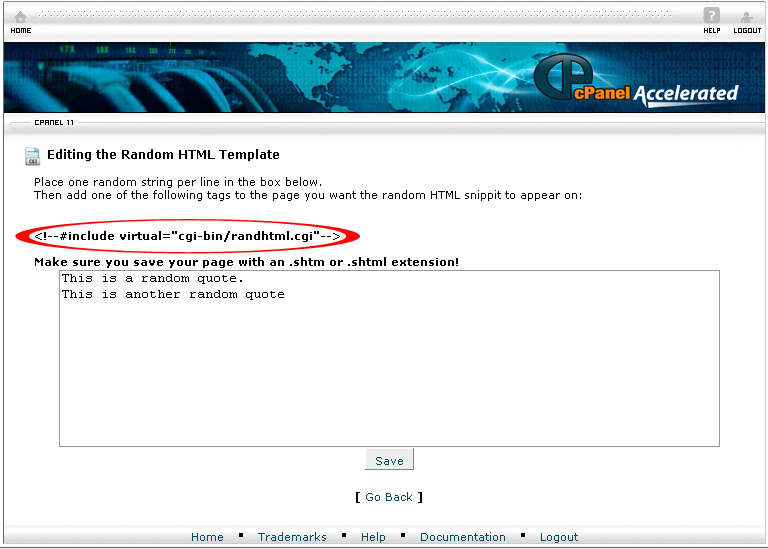 If you follow the instructions above, you will be able to use the Random HTML Generator to generate random text for your website through cPanel.